Esther received her Associates Degree in Arts (emphasis on Social Behavioral Sciences) from Palomar College. 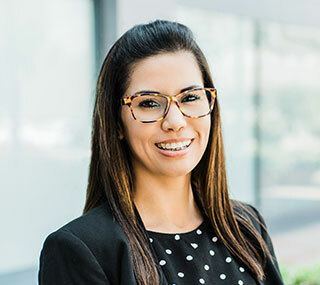 She completed the University of San Diego’s paralegal program with certification in a broad array of Law including Bankruptcy, Criminal, and Family Law. 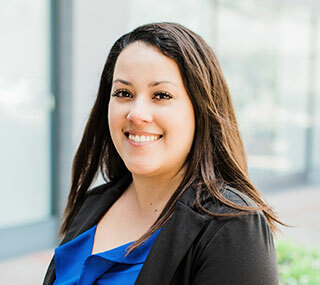 Upon graduation in 2010, Esther worked at a Bankruptcy/Foreclosure Law Firm in San Diego before making the transition into Family Law. Esther has assisted in a variety of cases including; Dissolutions, Paternity Matters, and Post Judgment Motions for Child Custody and Visitation, Child Support, and Spousal Support. She also has experience with various forms of discovery including; responding to and propounding form interrogatories, special interrogatories, and request for production of documents. Esther whole heartedly enjoys helping our clients and works diligently to meet our clients’ needs.